Happy new year 2018. Greetings card. イラスト素材: Happy new year 2018. Greetings card. 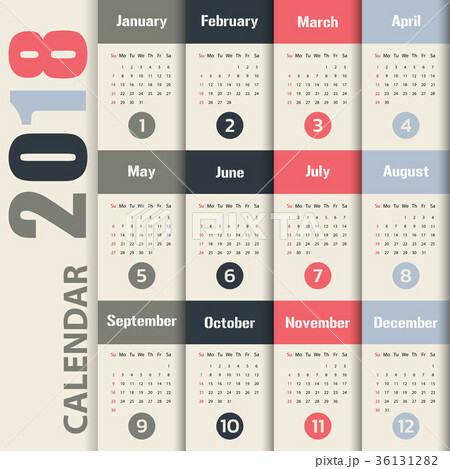 2018 Modern calendar template .Vector/illustration.